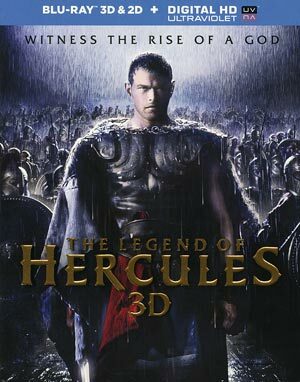 The Legend of Hercules gets to have the distinct pleasure of being the first flop of 2014 at the box office and with critics and audiences alike and for good reason. There’s nothing here save maybe for Gaia Weiss who, albeit in a limited role, was decent (and easy on the eyes). Anyway, avoid this like the plague as there’s nothing redeeming, not even in the “it’s so bad it’s good” kind of way either. “Witness the rise of a god” and the failure of filmmaking 101. You know, there was a time when Renny Harlin was at least an adequate if not serviceable director coming onto the scene with Die Hard 2 and several ho-hum entries like The Long Kiss Goodnight and Deep Blue Sea, so he’s hardly a great action director but fills the chair well enough. But taking into account the stinkers on his resume (see: Driven and Cutthroat Island), they pale into comparison with The Legend of Hercules, a film so clumsily made that there’s very little to admire and add in a substantial budget, one wonders where it all went. 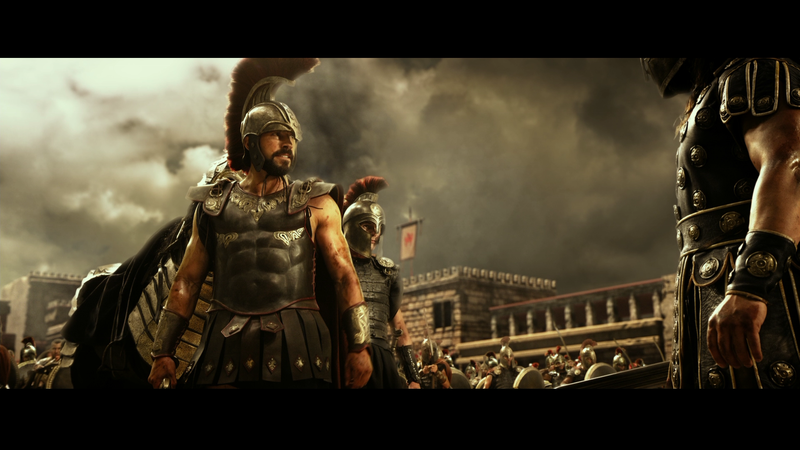 The story, which takes more than a few cues from Gladiator, opens with a poorly CGI’d sequence as the Greeks battle… some other force – we’re not clued in to what army or who any of the characters are – and Greek King Amphitryon (SCOTT ADKINS) takes on their leader and in incredible fashion, and showing the audience what we’re in store for as Harlin and company copy Zach Snyder’s 300 (so make this the 100th copycat of the style). With his victory he also receives the support of the opposing army. With this stunning victory, finds his wife Queen Alcmene (ROXANNE MCKEE) in despair over her husband’s penchant for war and implores him to stop his conquests which he resoundingly rejects. Having a son already, who she realizes will take on the traits of his father, prays to Hera to give her a son, sired by Zeus, and he apparently obliges with a PG-13 orgasmic scene during which Amphitryon walks in on the joyful event, though he thinks there was a mortal man in the bed who somehow, someway, magically vanished in mere seconds… So, a baby boy is born and Amphitryon makes it known the boy, named Alcides to others, will always be second to his son, though Alcmene names him Hercules. Fast forward 20 years and a grown up Alcides/Hercules (KELLAN LUTZ) is wooing a young woman named Hebe (GAIA WEISS) who, as we discover later, is a princess forced to wed Hercules’ pompous half-brother, Iphicles (LIAM GARRIGAN), to join together two kingdoms as Iphicles is being groomed to ascend to the throne. Hercules goes after her with Amphitryon sending his men to stop them before they cross the river because, as Hercules states, they won’t follow. 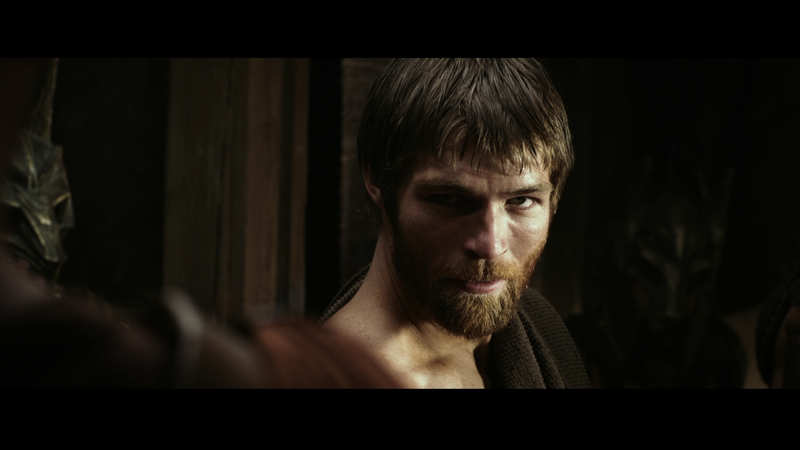 But their plan is thwarted and the pair is taken back the palace where Hebe is to marry Iphicles while Alcides is sent to certain doom with an army led by Captain Sotiris (LIAM MCINTYRE). The army is ambushed leaving only Alcides and Sotiris alive and to protect his identity, Alcides uses his birth name Hercules as the pair are sold off into slavery to fight Gladiator-style eventually leading them back to Greece where upon Hercules will win the hearts and minds of the people, as their villages are plundered by Iphicles, and also win his and Sotiris’ freedoms. I think you can take a gander what happens next, though this film’s terrible insanity knows no bounds such as a scene shown in every TV spot and trailer where Hercules is chained between two walls, manages to gather all his strength apparently accepting his heritage as Zeus’ son, and rips the chains leaving cinderblocks on each end which he uses to smash the king’s men. Perhaps on paper this sounded cool but it was yet another ludicrous scene in a movie filled with some whoppers already. 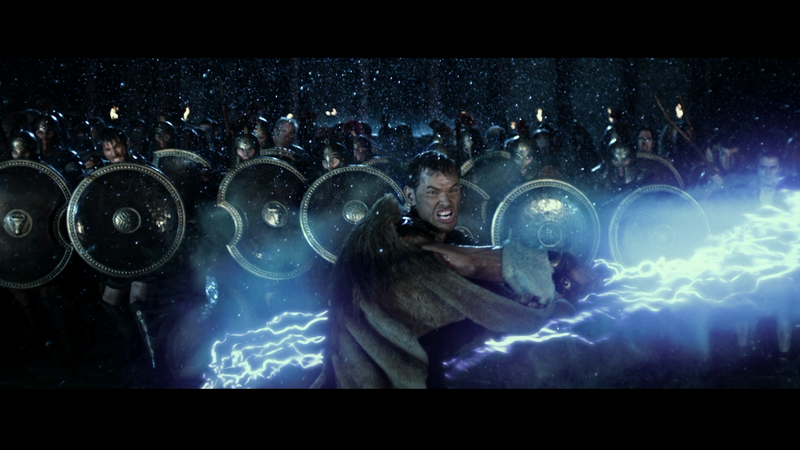 There are so many problems with The Legend of Hercules that it’s difficult to know where to even begin. Well, first things first, the acting is pretty atrocious from Kellan Lutz in the main title role to the bizarre casting of martial arts star Scott Adkins to play his father and as one would expect from a clichéd screenplay, he’s the typical cackling villain who is just evil for evil’s sake, no semblance of depth for him… or anyone else in this stinker of a movie for that matter. The only bright spot, and it is a dim spotlight admittedly, is Gaia Weiss on the History Channel’s original series, “Vikings” and in spite of a bad screenplay and all the rest, Weiss comes through hopefully unscarred as she has potential. Next, the editing was all over the place. At the helm of the cutting room is Vincent Tabaillon whose credentials include Taken 2, The Incredible Hulk and Clash of the Titans, not a stellar career but not bad and nothing to indicate that his work would help keep the pacing off throughout, not that the movie itself had anything interesting to say. Lastly, the direction and screenplay. Neither element were good with a what I consider at best average director to a half-assed screenplay filled with clichés and utterly awful dialogue only amplified coming out of the mouths of bad actors. I’m not sure exactly where this project went wrong but when you’ve got so many categories that were terrible, it leads to a film that will be relegated to the annals of poor filmmaking and noteworthy for its awfulness and nothing else. 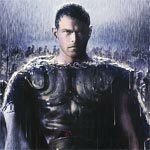 In the end, The Legend of Hercules is devoid of any sense of competency let alone originality with a poorly written script, shoddy editing, copycat direction and performances that are, let’s just say, less than stellar. I know I shouldn’t be, but I am astonished to know how in the heck this got the green-light not to mention a hefty budget, this is the sort of crap one would see on SyFy just with an upgrade in visual effects and production design. This release comes with a title embossed, glossy slip cover inside of which is an authorization code for the UltraViolet Digital Copy. 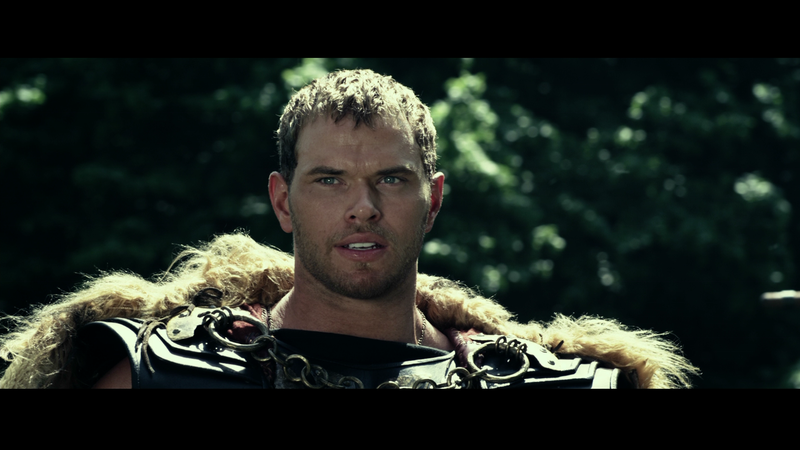 Audio Commentary – Director Renny Harlin and Actor Kellan Lutz sit down to pump up their movie providing some tidbits on how certain scenes were shot, working with various actors, etc. It’s your run-of-the-mill commentary with Harlin taking up most of the chatter and leaves little quiet spots. The Making of The Legend of Hercules (14:46; HD) is your basic featurette with behind-the-scenes footage set against cast and crew interviews chatting up about their characters, the story and challenges of making the movie. The Legend of Hercules slays its way onto Blu-ray presented in its theatrical 2.40 widescreen aspect ratio and in 1080p high-definition transfer (MPEG-4 AVC codec). The picture looks, in a word, wonderful. Detail levels are excellent all around, colors bright and pop off the screen and there are no noticeable flaws. Sure, the movie may stink, but at least the transfer is near perfection. The 3D transfer meanwhile is OK though it utilizes the same old tricks with objects (like spears) being plunged toward the camera. Depth perception does look pretty good and I didn’t observe any signs of ghosting. While it’s not the best use of the 3D technology, it’s not all together that bad. The movie comes accompanied with a robust and resounding 7.1 channel DTS-HD Master Audio track which showcases the numerous action sequences as well as the quieter, more discrete, dialogue-driven scenes which is crisp and clear. The bulk of the action does take place through the front and center channels with the rear speakers being relegated for ambient noises and off-screen elements. 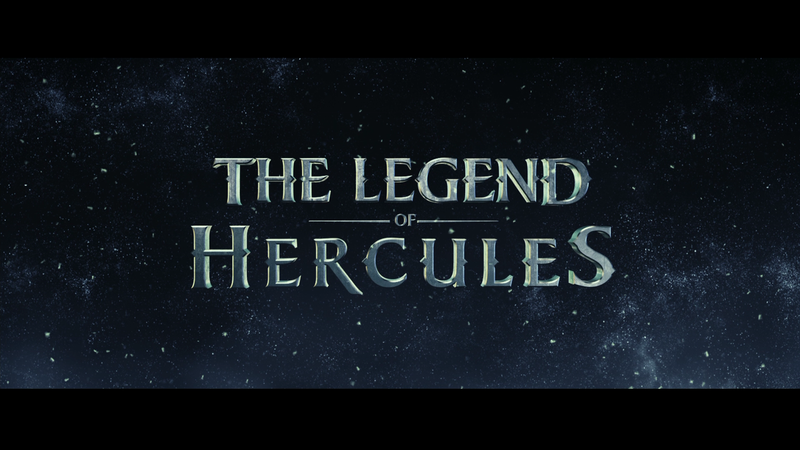 Overall, The Legend of Hercules gets to have the distinct pleasure of being the first flop of 2014 at the box office and with critics and audiences alike and for good reason. There’s nothing here save maybe for Gaia Weiss who, albeit in a limited role, was decent (and easy on the eyes). Anyway, avoid this like the plague as there’s nothing redeeming, not even in the “it’s so bad it’s good” kind of way either. The Blu-ray at least offers excellent video and audio transfers though the features are pretty limited.